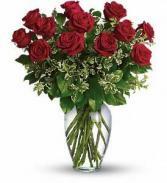 Sweet Thoughts of You Floral Bouquet in Whitesboro, NY - KOWALSKI FLOWERS INC.
What more romantic than sending your heart! 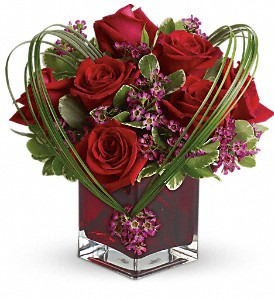 Hand-designed in a 5" ruby red glass cube that is filled with roses designed in a shape of a heart accented with greens, fillers and surrounded by bear grass. 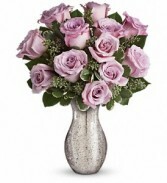 A sparkling mercury glass vase lends a feeling of vintage romance to one dozen delicate lavender roses accented with fillers and greenery. 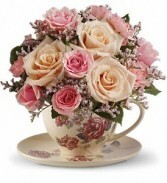 It's a bouquet as timeless as your love, and one she'll always remember!